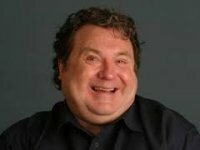 Dylan Thomas' classic play "Under Milk Wood" will be naratted by Russell Grant at the Hercules Hall, Portmeirion. Two performances per day, 11am and 8pm on Saturday 30th and Sunday 31st October. Tickets are £10.00 including free entry to Portmeirion Village (concessions £8) and are available via Portmeirion, online or by telephone. With thanks to Alan Jones for this news item.